These are the most interesting projects, when you combine classic with the modern. 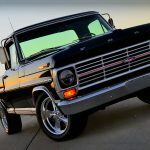 Here we have classic 1969 Ford F100 Ranger pickup truck combined with modern 2002 Ford SVT F-150 Lightning. 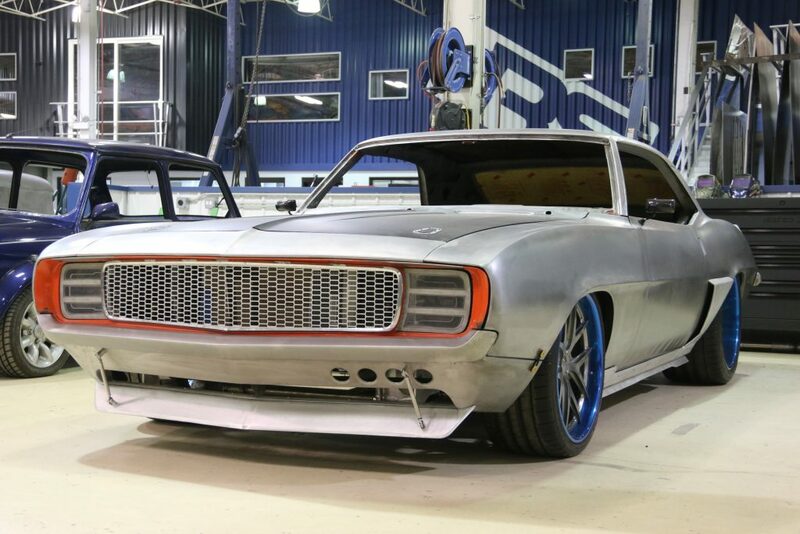 This restomod project has been completed by V8 Speed & Resto Shop and is a perfect combination between tradition with modern power, which they called a “ThundersTruck“. 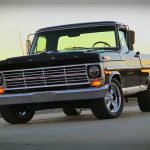 The modern suspension has been modified in order to fit perfectly the classic F100 body, actually this is a modern 2002 Lightning with the body of a classic 1969 F100. 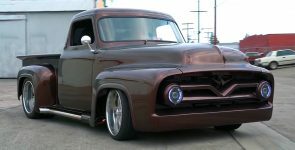 After everything is measured and cut, the classic cabin, bed and the modern chassis have been media blasted to the bare metal and repainted. 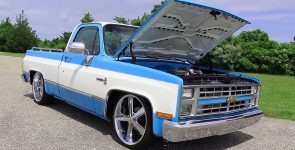 Also the engine and the transmission have been repainted with new Eastwood nano-ceramic high temperature engine paint. 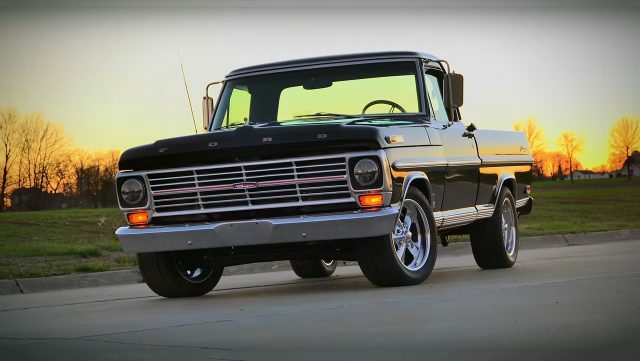 This “ThundersTruck” under the hood is equipped with Supercharged Ford’s SOHC 328 cubic-inch, 5.4 liter small-block V8 engine, factory rated at 380 horsepower 450 lb.-ft. of torque. The engine is attached by overdrive 4-speed automatic transmission system. 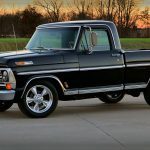 As a pinnacle of this project was installed new set of chromed 5-spoke Billet specialties wheels with Nitto tires, which give outstanding look to this classic 1969 Ford F100 Ranger “ThundersTruck”. For more details of this project please watch all six series on V8TV channel.